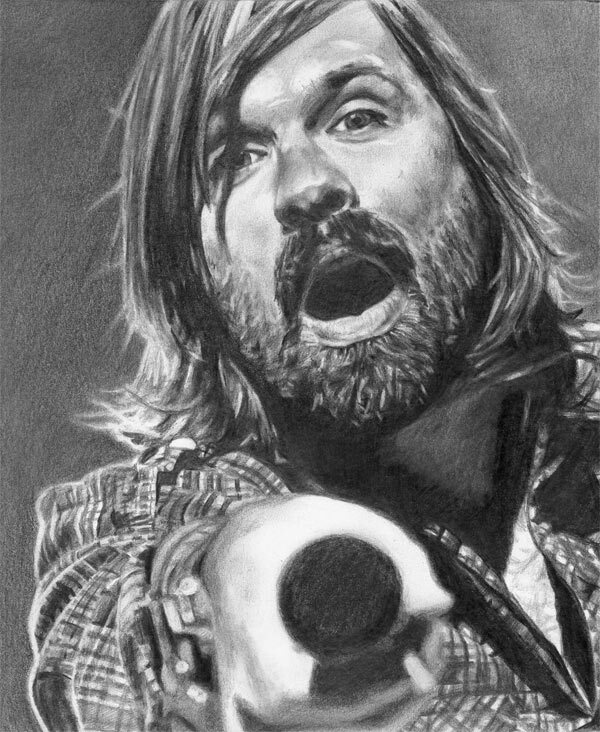 What’s interesting about this drawing of Third Day’s Mac Powell is that it’s the first pencil portrait I’ve done from a photo I’ve taken. I took this at Winter Jam 2010 in January and worked on it on and off for a couple months that year. Then my “studio” of sorts became a nursery for our newborn son and I almost entirely abandoned drawing. I picked this back up over the summer (August, I think) and finally finished it. The actual piece of work is horizontal with a ton of dead space on the left, so I cropped it for prints and for you to see here. 🙂 I hope to do more drawings from photos I’ve taken in the future.